A batter swings at a pitch during the Lower Sussex League’s Pat Knight Tournament on Friday, June 29. 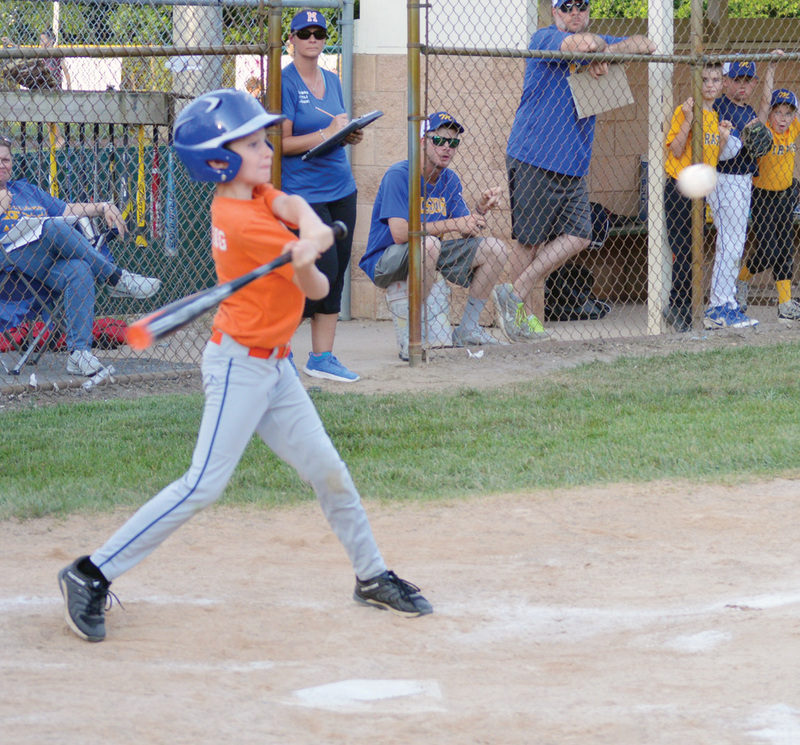 The Lower Sussex Little League’s 8- to 10-year-old baseball team took home the Pat Knight Tournament championship on Friday, June 29, with a 5-4 win over Millsboro. The win for LSLL avenged a 14-6 setback in the pool-play round. LSLL went 4-1 in its five pool-play games, with wins over Georgetown (13-7), Lewes-Rehoboth (15-14), Woodbridge (16-6) and Milton (15-5). Milton defeated Georgetown, 2-1, in eight innings, to win the 10-12 baseball title. LSLL came up just short of the final game after going 3-2 in its pool-play games. Milton and Georgetown each went 5-1. In softball action, Nanticoke/Laurel overcame a three-run, sixth-inning deficit to defeat LSLL in the 10-12 division, to win the Pat Knight title. LSLL’s Giovanna Conforti had 13 strike-outs and four walks. Kira Littleton and Ella Grove both had an RBI. Raegan Kansak, Mya Whittington, Katrina Vallorosi, Abbie Brewer, Alisa Tyre and Kira Littleton all had hits for Lower Sussex. The girls’ 8-10 division doesn’t get under way until July 29.